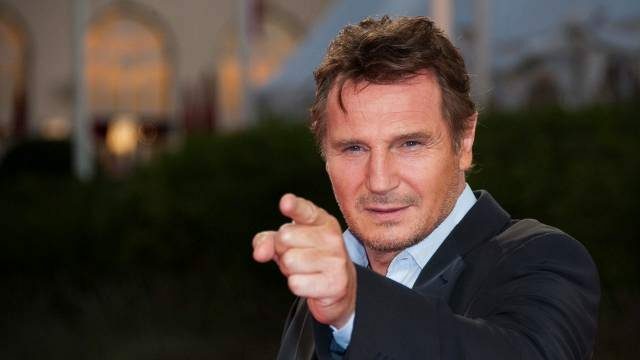 Liam Neeson has confirmed that he’s attached to star in Marlowe, an in-development gumshoe drama based on the novel The Black-Eyed Blonde. William Monahan (The Departed) is adapting the book, with the project under the auspices of production company Nickel City Pictures and Gary Levinson. Neeson will be playing iconic detective Philip Marlowe, who was a fixture on cinema screens between 1942 and 1978 and was most famously played by Humphrey Bogart in The Big Sleep (though I’m a fan of Elliot Gould’s interpretation in 1973’s The Long Goodbye). This’ll mark Philip Marlowe’s first appearance in a major motion picture since 1978, with the story coming courtesy of Irish writer John Banville (writing under the pen name of Benjamin Black). His 2014 novel is an attempt to produce a convincing interpretation of Raymond Chandler’s character, with the book (and presumably the film) set in early 1950s Los Angeles, a town bristling with corruption, glamor and intrigue. It begins, as Marlowe stories usually do, with a dame walking into his office. She tasks Marlowe with hunting down an ex-lover who’s mysteriously disappeared. Naturally, things aren’t what they appear to be, and the cynical, world-weary detective is drawn into yet another spiral of betrayal and violence (odds are he’ll also end up roughed up by thugs and dumped in the middle of nowhere). This isn’t likely to be an action role in the mold of Bryan Mills from Taken, though it’s easy to see how Neeson’s physicality and personality make a great fit for one of the most famous detectives in literary history. A release date, director and co-stars are still a long way off, though with Neeson attached, I’m sure the studio wheels will begin to turn. More on Marlowe when we have it.